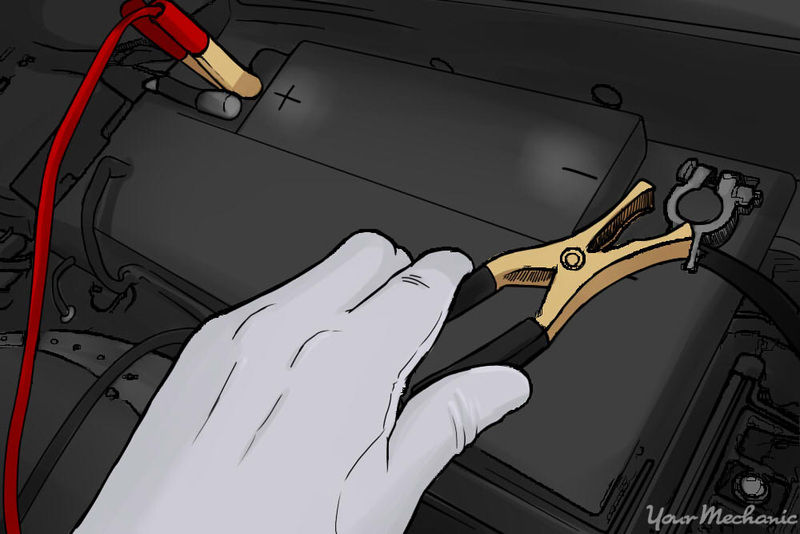 It is safe to say that every car owner reading this has likely experienced that time where you were leaving your home or walking out to your sitting car, only to discover that the battery in your car was dead. This scenario is very common, but this case is actually different because the same thing happened the day before. You may have had AAA or a certified mechanic check the charging system, and find both the battery and alternator to be functioning properly. Well then, there is something electrical in your vehicle that is draining your battery and that is what we call a parasitic battery draw. So how do we know if you do have a parasitic draw, or if it is really just a misdiagnosed bad battery? If it is a parasitic draw, then how do we figure out what is draining your battery? Digital multimeter with a 20 amp fuse, set to read 200mA. Step 1: Start with a fully charged battery. Unplug or disconnect any accessories installed in your vehicle. This will include such things as a GPS or a phone charger. If you have a modified stereo system that uses additional amplifiers for speakers and/or a subwoofer, it would be a good idea to remove the main fuses for these, as they too may draw current, even with the vehicle off. Be sure all lights are off and all doors are shut, as well as the key off and out of the ignition. This will allow you to start with a full charged battery. If your vehicle needs a code for the radio or GPS, now would be a great time to locate it; it should be in the owner's manual. We will need to disconnect the battery so having this code handy will allow you to gain control of your GPS and/or radio after you reconnect your battery. Step 2: Attach the AMP meter to the battery. Next you’ll want to attach your amp meter, in the correct series, to your electrical system. This is done by disconnecting the negative battery terminal from the negative post on the battery and using the positive and negative probes on the amp meter to complete the circuit between the battery post and battery terminal. Tip: This test can be done on either the positive or the negative side, however it is safer to perform the test on the ground side. The reason for this is if you accidentally create a short to power (positive to positive) it will create a spark and could melt and/or burn wires or components. Tip: It is important that while you have your amp meter connected in series, you don’t attempt to turn on your headlights or start your vehicle. The amp meter is only rated for 20 amps and turning on any accessories that draw more than 20 amps will blow the fuse in your amp meter. Step 3: Reading the AMP meter. 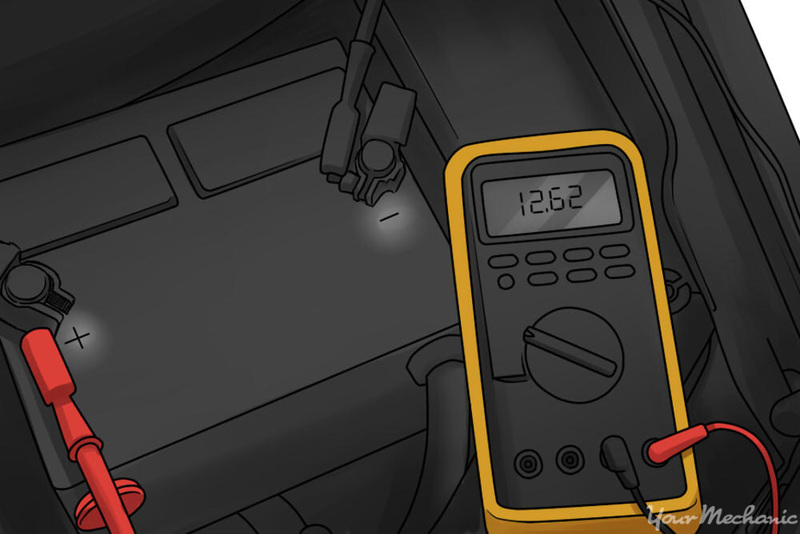 There are several different readings you can select on the multimeter when reading amps. For testing purposes, we will select 2A or 200mA in the amp section of the meter. This is where we can see the parasitic draw on the battery. The reading for a normal vehicle with no parasitic draw can range from 10mA to 50mA, depending on the manufacturer and the amount of computers and features the vehicle has. Now that we have verified that the battery is experiencing a parasitic draw, we can move to exploring the different reasons and parts that can be pulling on your car’s battery. Reason 1: Lights. Electric devices like timed and dimming dome lights can stay “awake” and produce excessive drain on the battery for up to 10 minutes. If after several minutes the amp meter is showing a high reading, then you can know for sure that it is time to start hunting down the component that is causing the parasitic draw. Common places you want to look at are the areas that we actually cannot see too great, such as the light in the glovebox or the light in the trunk. Glovebox: Sometimes you can peek through the opening of the glove box and see if any light shines through, or if you’re feeling brave, open the glovebox and quickly touch the bulb to see if it’s hot. This can be contributing to the drain. Trunk: If you have a friend handy, ask them to climb into the trunk. Shut it closed and have them check the trunk light and inform you if it stays on. Be sure to open the trunk to let them out as well! Reason 2: New car keys. Many newer cars have proximity keys, keys that wake up your car’s computer when they come within so many feet of it. If your vehicle has a computer that listens for your key, it is emitting a frequency that allows you to walk up to your car, unlocking and opening your door without having to physically insert the key. This takes a lot of energy over time and if you park near a busy walking path, in a populated parking lot or near an active elevator, anyone that has a proximity key who happens to walk by your car will wake up your car’s listening computer. Once awake it typically falls back asleep within a few minutes, however in a high traffic area, your car could be experiencing parasitic battery draw all day long. If you believe this is the case for you, most vehicles have a way to turn off the proximity sensor in the owner's manual. Reason 3: Other common culprits. Other culprits for parasitic draw that require inspection include aftermarket alarms and stereos. Bad or shoddy wiring can create a drain that would require a mechanic’s inspection as well. Even if these components were installed safely and properly prior, the components themselves can malfunction and cause the battery to drain. As you can see, the problem is not always an obvious one. You may have to locate the fuse box and start removing fuses one at a time to see which circuit is excessively draining the battery. However this can be a lengthy process and it is highly recommend that you enlist the help of a certified mobile mechanic, such as one from YourMechanic.com, who can properly diagnose your car’s parasitic battery draw, and repair the culprit that is causing it. Q: Do I really have an engine problem?